I would not let the house run down. I would not let it grow up to look unseemly. That's just out of common courtesy. You want to keep up what you paid a heck of a lot for. You start to let it go downhill and then the neighborhood changes. Not that I mean by kinds of people, because we have all kinds here, all...nationalities. I just mean things start to go downhill. The imperatives of a global industry, the complexity of worldwide markets, the ongoing decline in the rate of profit, together seem like inexorable engines for lawn pesticide use. It is tempting therefore, to leave discussion here, following the traditional chain of explanation in political ecology (Blaikie and Brookfield 1987). Chemicals create risks. Why? Because chemical users over-apply them. Why? Because direct marketing of aesthetics influences them? Why? Because formulators are in a production squeeze and producers are in a state of consolidation. And yet, there is something unconvincing in this account. It depends on a model of human behaviour and volition that seems too crude. How do people become convinced that certain ways of being and doing are normal, especially ways that contradict their better judgment? In a national surveys of lawn owners, for example, it has previously been discovered that those people who acknowledge the environmental risks of chemicals are the ones most likely to use them (Robbins and Sharp 2003a and b). 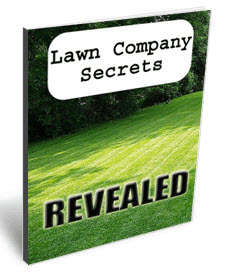 To burrow to the heart of this question and link global capital to local desire, therefore, requires a more careful assessment of who lawn tenders are and how they become this way. What kinds of social communities, knowledge communities, and communities of practice emerge from lawn care? The missing factor for answering this question is the one we most commonly encountered in our interrogation of lawn chemical users—they do it for their neighbours.